Dry clothes your way and on your time, even when you're away from home. The Whirlpool® app allows you to remotely start and pause cycles, track cycle progress and energy usage, receive Clothes Dry notifications when loads finish and even activate the Wrinkle Shield™ option if you can't make it home in time to remove clothes from the dryer. Dry clothes more efficiently with helpful Laundry Alerts. Know if something is affecting your dryer performance, like a blocked vent, and receive step-by-step instructions and how-to videos to help guide you through quick fixes with the Diagnostic Tool. Specialty and Customized Cycles - You'll never feel tied to the Normal cycle again with specialty cycles. 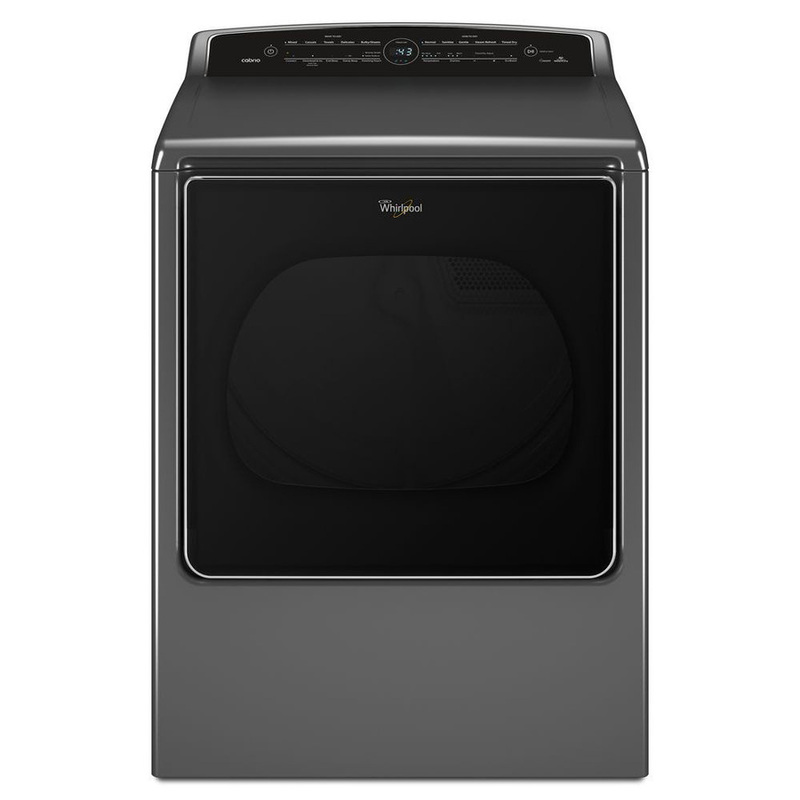 Plus, you can create and save your own unique cycle to dry exactly the way you want with the Whirlpool® app, and then download the cycle directly to your dryer using the Download & Go™ option. Amazon Replenishment - Automatically order laundry supplies when you're running low by syncing your Whirlpool® app with your Amazon account. This feature estimates the amount of supplies remaining and targets the right time to order necessities like dryer sheets so your family always has what they need to do laundry when they need it. Advanced Moisture Sensing uses three sensors to track moisture and temperature, adapting drying times to end the cycle when clothes are perfectly dry. Four baffles tumble clothes in a randomized pattern, allowing more balanced tumbling. Intuitive Touch Controls with Memory always ask the right questions. With easy “what” and “how” controls, they effortlessly help you create customized cycles. Plus, they even remember your last settings to save you time. Estimated Time Remaining LED Display - Always have an eye on how much time is left during any cycle with our estimated time remaining LED display. It's part of our updated digital display.